I'm a 2018 burner and am looking for a new camp in 2019! I loved my camp from '18 but it was a sober camp (I'm still happily sober!) but a good friend of mine will be joining this year and wants to enjoy some drinks and whatnot on playa and we think it is best to find a good group of good souls who would take in one one-time burner and a burgin! I can contribute in the following ways: cooking on playa, providing and making coffee in the morning, bartending, leading bike rides, moon howling enthusiasm and anything else that you might just need some help with! If this is not the place to post this or if this is just likely to get no responses (and someone DOES see this) please feel free to tell me where the proper place to post is or some better e-playa etiquette! I am based in San Francisco and like to be involved year-round with friends from my camp's small parties and events and I also enjoy attending the big ones like decom, precom, and hope to be able to participate in some of the in-office volunteer events in the new year. Please feel free to message me or add me on Facebook to chat. Susie Quattrocchi is my full name and "boots" is my playa name. You may not find links here, but there are usually regionals in the state you reside, along with Facebook groups and other social media platforms. The regionals are a great way to connect with local burners and get involved in groups, events, etc. especially in San Francisco. In February we sent out an email announcement sharing we were looking at establishing population criteria for Mutant Vehicle Camps. This process began in 2017 and after many meetings, visiting and speaking with many Mutant Vehicle Camps on playa in 2017 and 2018, and crunching data from Mutant Vehicle (MV) applications and Camp Placement Questionnaires, we at Placement and the DMV have created criteria for Mutant Vehicle Camps in 2019. As we problem solve various aspects of turnkey camping, we are making these policy updates to ensure large camps not making formal contributions to Black Rock City proportional to their camp population are not receiving undue resources or placement. 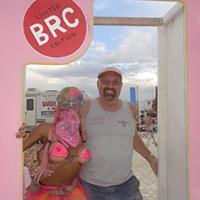 Our hope is for all placed camps to make impactful contributions to Black Rock City and create experiences for their fellow citizens. This email from placement contained a lot of info. not shown here. Dont panic. They will work with you to get the space needed.
" As we problem solve various aspects of turnkey camping, we are making these policy updates to ensure large camps not making formal contributions to Black Rock City proportional to their camp population are not receiving undue resources or placement." Mod note: remind me/us to move this to the 2019 forums when they open. SusieQ, check your personal messages.